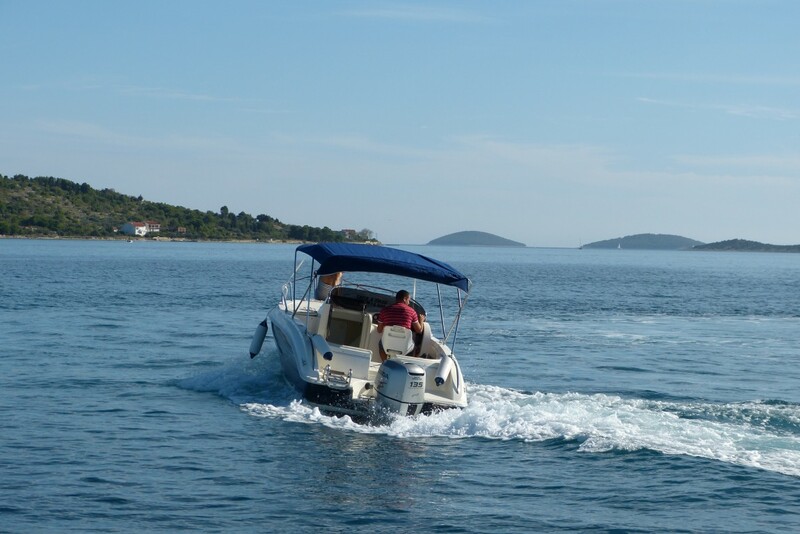 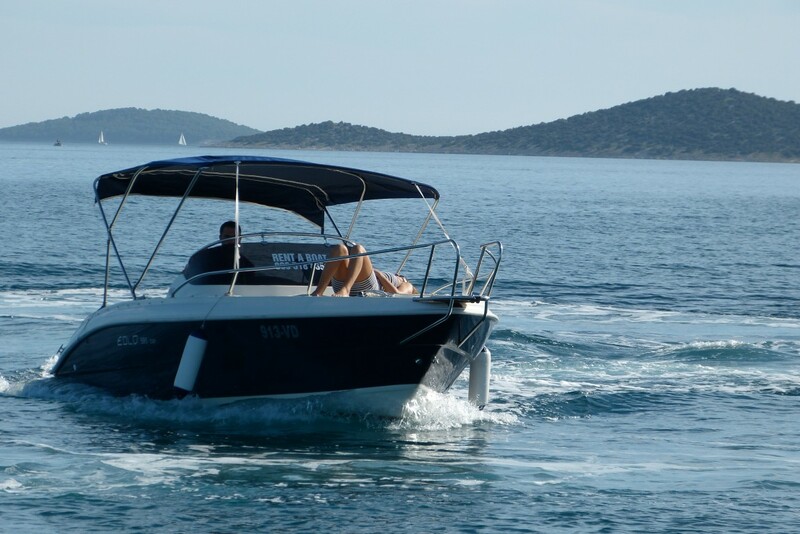 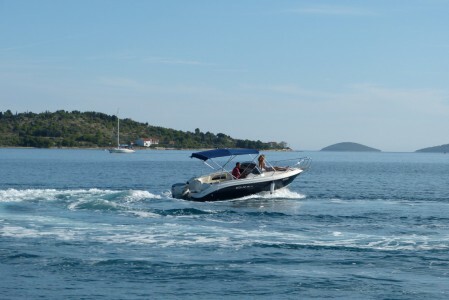 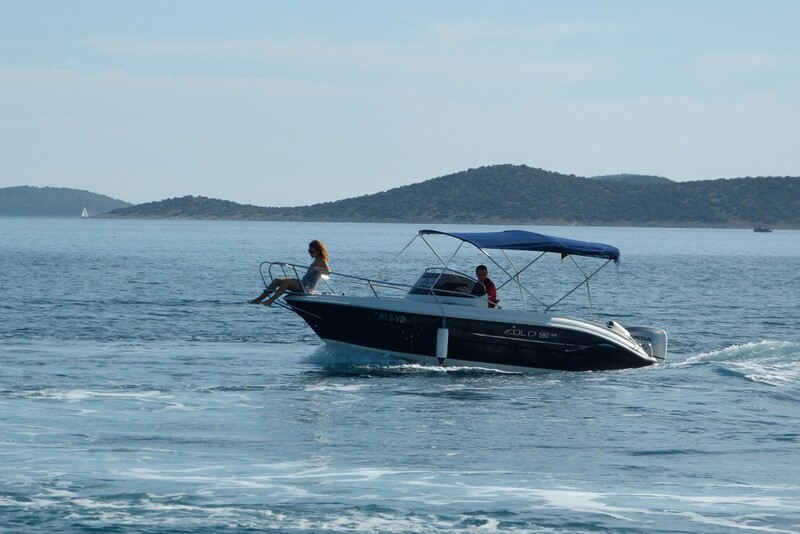 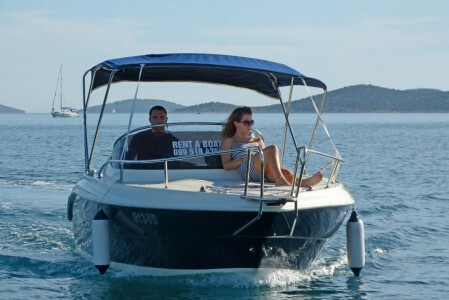 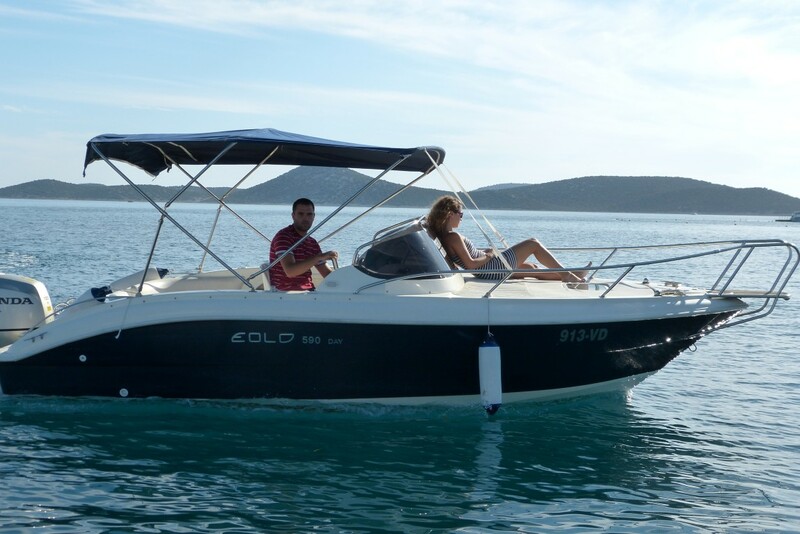 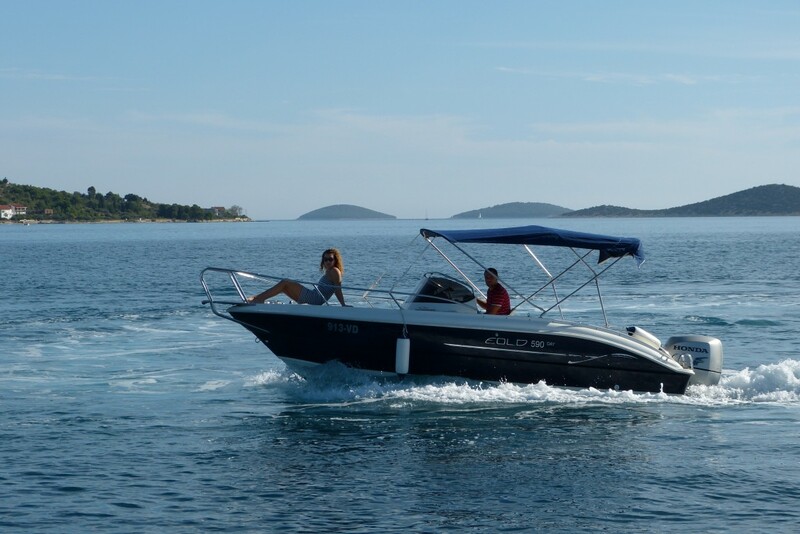 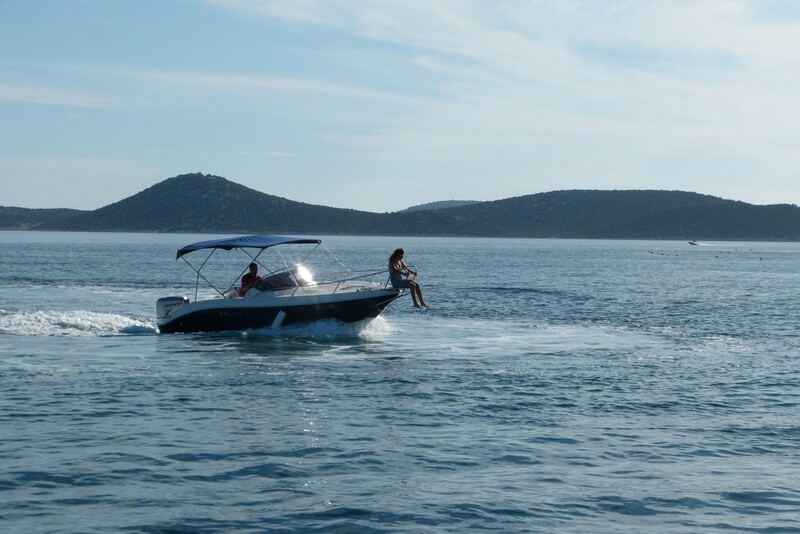 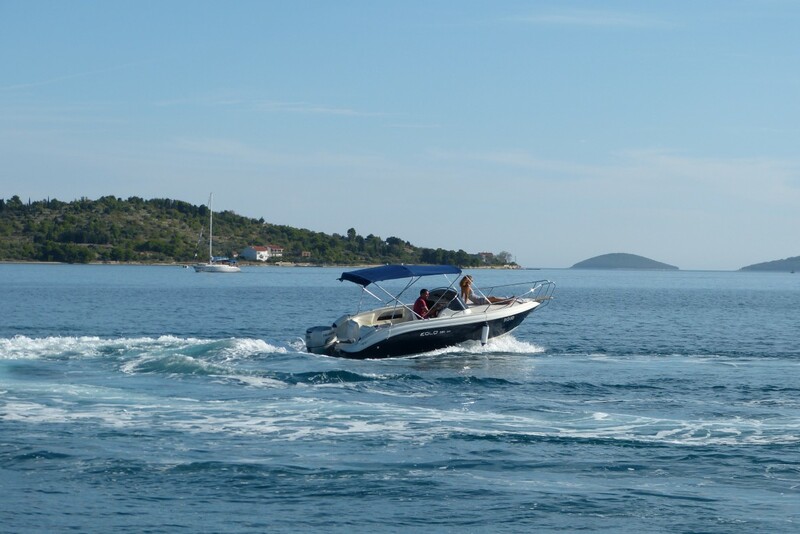 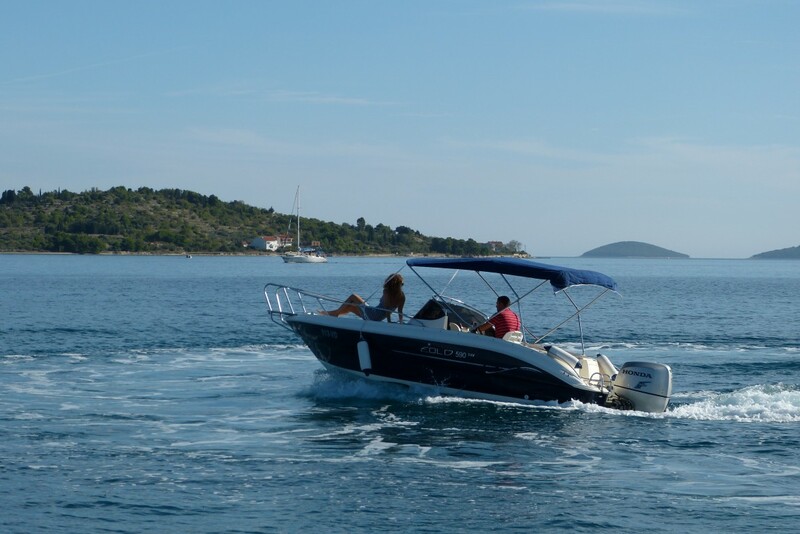 Powered by Honda 150Hp engine, Speed boat Eolo 590 is perfect for those who look for speed and excitement. 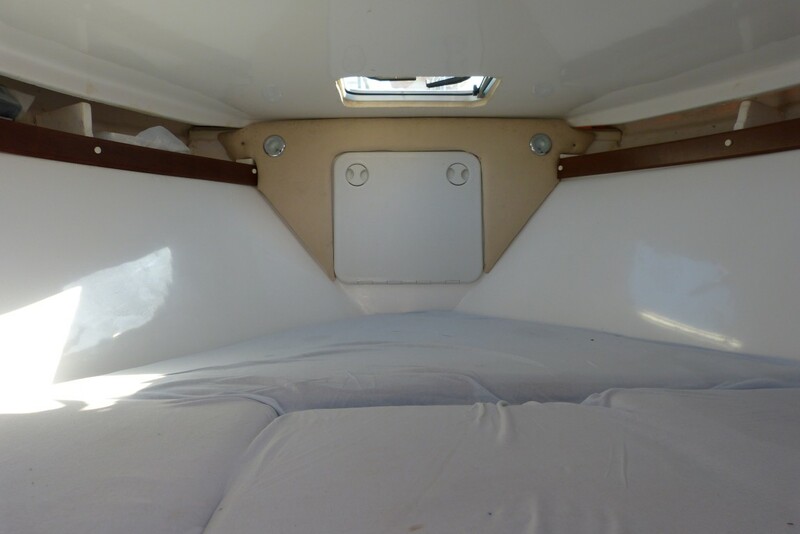 Large spacious deck is ideal sunbathing. Full set of accessories ensures safe and comfortable navigation. 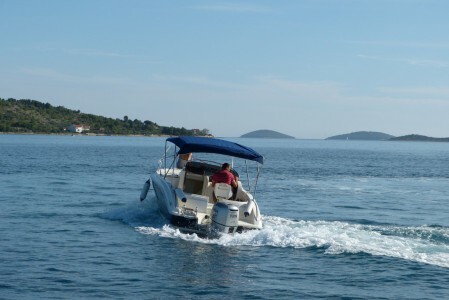 Quick training regarding boat usage and safety will be provided by our staff. For online reservations and longer rental periods we allow special discount.